My husband and I have visited the Caribbean many times over the last 20 years. These beautiful islands and the people who call them home are very special to us. 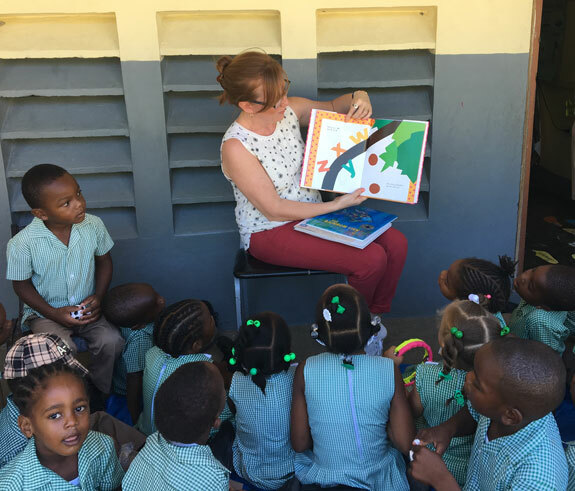 While planning our trip to Jamaica last year, we decided that it would be nice to find a way to give back to these communities that have provided us with so much joy throughout the years. My husband is always looking for a philanthropy project to get involved with and being a teacher, I have a particular interest in education. I know that the Caribbean communities value education, but have limited resources. 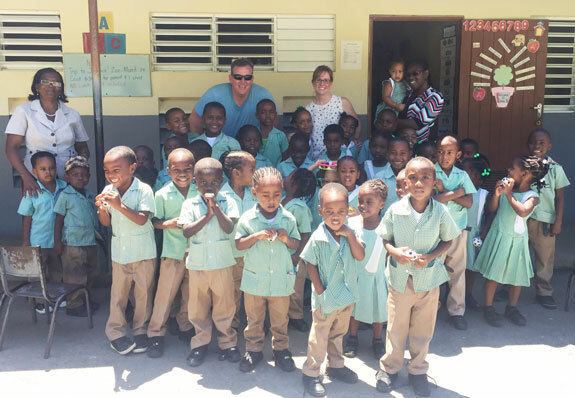 Through the Sandals/Beaches website, we learned about their partnership with Pack for a Purpose and were excited to get involved in visiting and helping some of the local schools. We did some research to find out what they were in need of and made a “wish list” on their behalf. We reached out to some friends via social media and were thrilled with the overwhelming response! 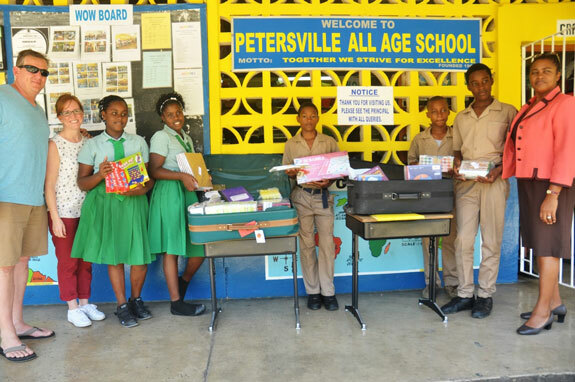 Our friends made so many generous donations of school supplies, musical instruments, games, sporting equipment and art supplies that we needed to bring four extra suitcases with us! 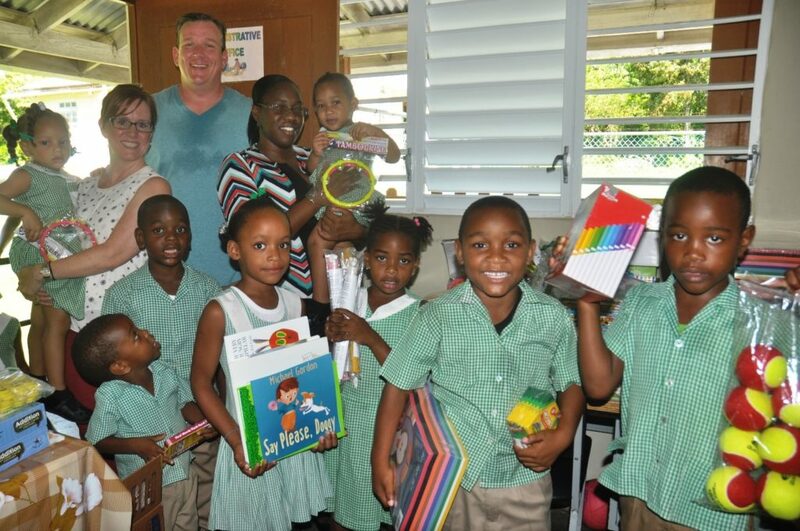 With the help of our new friend Rochelle, from Sandals South Coast, we were able to visit two schools in the area. When we pulled up to the first school, the children came running out to greet us! They were sweet and friendly and I loved that they were all dressed in uniforms. There must have been 40 children ages 2-12 years old in a one-room schoolhouse with two adults. I had the privilege of reading some of my favorite stories to the class and my husband played ball with the children. They were eager to talk with us and to thank us for the gifts we brought. The second school was a secondary building with children ages 12-18. Having teenage children ourselves, my husband and I found this experience particularly funny. The students were very polite and respectful. I enjoyed learning about what they were studying and laughed at the universal teenage behaviors and interactions that are just like what we see at home. This experience exceeded all of our expectations and we were deeply moved by the appreciation and warmth that we felt from the students and the teachers. Not only did we get to see some of the local schools and meet the people there, we learned about Jamaican culture and even stopped off to get some local fruit on the way home. We plan to participate in Pack for a Purpose again during future trips. Our next vacation will be to Turks and Caicos, an island that was severely impacted by Hurricane Irma. 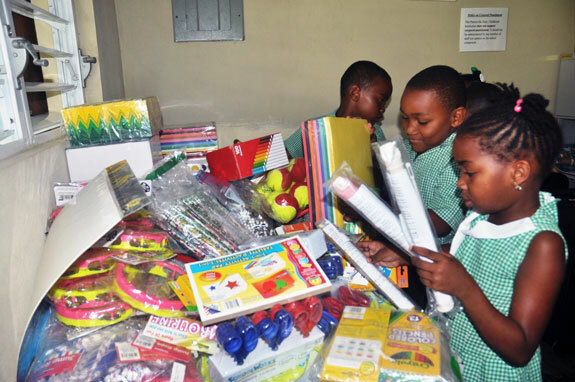 Since our children will be joining us, we are going to enlist their help in collecting supplies and distributing them to schools on the island. We highly recommend this experience to others and can’t wait to participate again.